Firefly Founder and Medical Director, Martin McGeough visited National University of Ireland, Galway’s [NUIG] School of Health Sciences recently. Martin guest lectures to the University’s Podiatric Medicine students a number of times during the academic year. On his most recent visit, Martin spoke to student’s preparing for their final MSK assessments and also to 3rd year Podiatry students. The University offers 25 places on the undergraduate course annually. Each year Firefly Orthoses welcomes a number of the courses undergraduates to Firefly HQ where they develop their practical experience and knowledge in the area of biomechanics. Since 2008 NUIG has been offering a degree in Podiatric Medicine. Their BSc in Podiatric Medicine is the only such course in the Republic of Ireland. 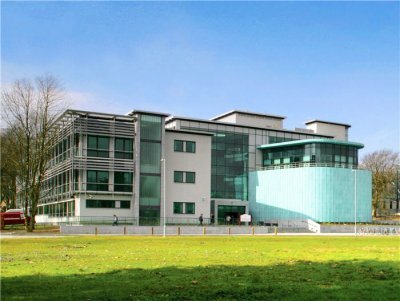 From the University’s Áras Moyola building they provide a state of the art Podiatric clinic accompanied by a surgical theatre.